Having listened to our past and current clients, we understand that some people find the transition from their current position to their new role or career to be somewhat daunting. As a result of this, they get ‘stuck’ and find it easier to remain where they are or start to move forward only to stall at the first hurdle. In order to address and rectify this problem, we have our Career Coaching Programme. One-on-one career coaching enables you to progress from where you are currently to where ultimately you want to be. Your career coach will guide and facilitate your progress towards defined goals, removing barriers that have prevented change from happening, and breaking down a large goal into manageable steps. One-on-one bespoke career coaching challenges and encourages you to be totally clear about what you want from your career, why you want it and then provides you with practical support throughout the process to develop clear goals and achieve them. Your career coach will support you every step of the way, ensuring that you are committed to take action. By building awareness, confidence and self-belief, people achieve – and more! What does a career coaching session look like? A career coaching session generally lasts for 1 or 2 hours during which time the career coach and client review specific actions, outcomes and issues. Each session closes with agreement by both parties on actions to be taken before the next session. We suggest weekly meetings and would propose a booking of 4 sessions in order to see significant results. However, you will experience some benefits almost immediately. You can register for our programmes here or contact us today on 0800 999 7778 for more information on this or any of our other careers advice programmes. Looking for career development in the career you already have? To stay on top of your game you need to progress and develop your skills. Today’s workplace is increasingly uncertain, and you need to be fully confident in your abilities and career path. Am I progressing as I think I should – if not, how can I accelerate this? Am I working in an organisation that’s the right size and culture for me? Am I making the most of my talents, abilities, experience and qualifications? Should I re-train or update my qualifications? Are there areas, such as leadership skills that are holding me back? Is stress, anger or resentment an issue and restricting your progress? It’s time to take stock and review your options. Find out about your strengths and weaknesses, how new qualifications can invigorate your passion for your career and whether a move to a different organisation is the right one by examining your career progress with our qualified and experienced team of career coaches. 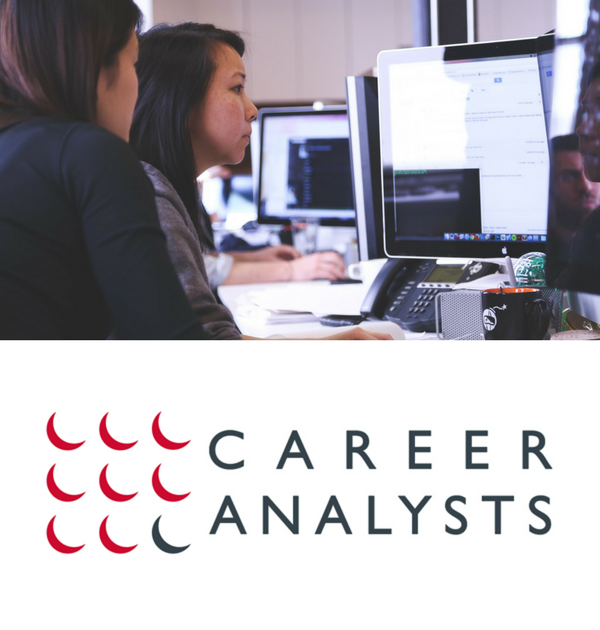 Career Analysts can help you clarify your goals and accelerate your career development. We can explore your hopes for the future, your personal and career history to date, and your personal practical circumstances and draw all of this together to help you make progress in your chosen career path. We work with you to put a strategy in place for your career development. It will involve coaching for the areas that are holding you back, such as leadership, people and man-management skills. It may be identifying potential new employers to approach or promotions to target, or even involve branching out on your own. The objectives of these sessions are entirely set by you. Whether it is to hone your leadership skills, manage change, how to get the best from your team or managers or just to stay on top of your game, these individual coaching sessions make the difference. We find that the normal requirement for this process is six to twelve sessions. Our pricing for this programme is at an hourly rate. We are not in the business of overselling to our clients. If you only need six sessions during this process, we will not try and sell you twelve.